Flipkart on Monday launched its Apple Days sale to offer various iPhone models at discounted prices. The Flipkart sale also includes cashback offers on EMI transactions made through ICICI Bank credit cards. Models that are a part of the new sale include the iPhone X, iPhone 8 Plus, iPhone 8, iPhone 7 Plus, iPhone 7, iPhone 6s Plus, iPhone 6s, iPhone 6, and iPhone SE. 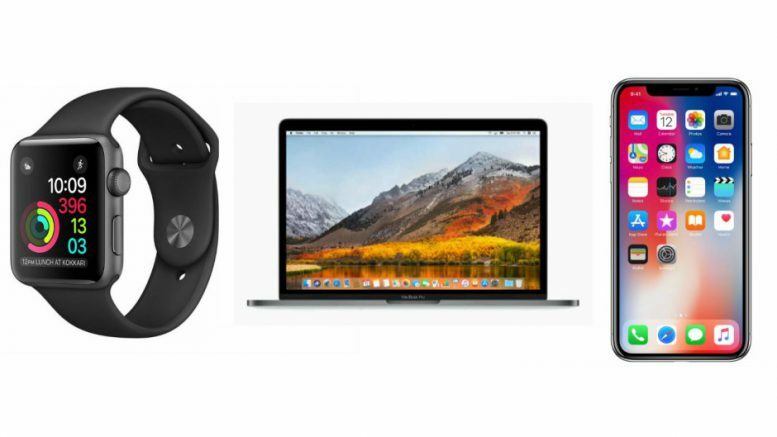 Similarly, the Flipkart sale gives discounts on various iPad models, EarPods, and Apple Watch. There is also assured up to 50 percent buyback value on select iPhone models. The Flipkart sale will run until Thursday, February 15. Under the Flipkart Apple Days sale, the iPhone X is listed at a starting price of Rs. 82,999 (MRP Rs. 89,000). Customers buying the latest iPhone model can also avail a cashback worth Rs. 10,000 that is exclusive to ICICI Bank EMI transactions. The iPhone X 256GB variant, on the other hand, is available under the new sale at a price of Rs. 98,999 (MRP Rs. 1,02,000). There is also an exchange discount of up to Rs. 18,000. If the iPhone X is still not in your budget, or if it’s not your choice, you can buy the iPhone 8 Plus at a price starting at Rs. 66,999 (MRP Rs. 73,000). The iPhone 8 is also available as a part of the new Flipkart sale with a starting price of Rs. 55,999 (approximately Rs. 64,000). Both the new iPhone models can be availed with a cashback worth Rs. 8,000 on EMI transactions and include an exchange discount of up to Rs. 18,000. The iPhone 7 Plus 32GB version is available at Rs. 56,499 (MRP Rs. 59,000), while the iPhone 7 Plus 128GB variant comes at Rs. 62,500 (MRP Rs. 82,000). On the other side, the iPhone 7 32GB version is available at Rs. 42,999 (MRP Rs. 49,000), while the iPhone 7 128GB variant is priced at Rs. 55,999 (MRP Rs. 58,000) and the iPhone 7 256GB version is available at Rs. 56,890 (MRP Rs. 74,400). Both the iPhone 7 and iPhone 7 Plus come with a cashback worth Rs. 4,000 that is valid on ICICI Bank EMI transactions. Further, there is an exchange discount of up to Rs. 18,000. For customers planning for a cheaper option than the iPhone 8 or iPhone 7, the Flipkart sale includes the iPhone 6s 32GB at Rs. 34,999 (MRP Rs. 40,000). The iPhone 6s Plus 32GB is listed at Rs. 39,999 (MRP Rs. 49,000). The iPhone 6 32GB is also part of the new sale and is available at an as low price as Rs. 25,299 (MRP Rs. 29,500). The iPhone 6s and iPhone 6 deals can become even sweeter with a cashback worth Rs. 2,500 that is valid on EMI transactions only. Besides, there is the iPhone SE 32GB at an affordable price of Rs. 19,999 (MRP Rs. 26,000) that can be bought at a lower price by availing an EMI transaction cashback worth Rs. 2,000. Apple iPad models under the Flipkart sale are available with discounted prices. The iPad 32GB Wi-Fi only variant comes with a discounted price of Rs. 22,890 (MRP Rs. 28,000), while the iPad 128GB Wi-Fi+Cellular variant is available at Rs. 45,990 (MRP Rs. 47,900). The iPad Pro 64GB Wi-Fi only model is listed at Rs. 49,900 (MRP Rs. 50,800) and the iPad Pro 256GB model comes at Rs. 61,500 (MRP Rs. 63,500). Likewise, customers purchasing the Apple Watch will receive a discount up to Rs. 8,700, whereas the Apple EarPods are listed at Rs. 1,999 (MRP Rs. 2,400). Be the first to comment on "Flipkart Sale on Apple Devices Till February 15: Discounts on iPhone X, iPhone 8, and More"